Our contact form is used to reply to your comments you send to us. We collect your name, email address, phone number, consent to send the information, and comments you enter on our gift card, and catering pages. The information is used internally and not used for marketing or promotional materials. Google Analytics is a web analysis service provided by Google Inc. (“Google”). Google utilizes the Data collected to track and examine the use of Seafoodsams.com, to prepare reports on its activities and share them with other Google services. We do not share your personal data with unaffiliated entities (entities that are not owned or controlled by Seafood Sams) without your consent. We may, however, share anonymous, de-identified, or aggregate data, which cannot reasonably be used to identify you – even where it has been derived from personal data. In addition to the expert services that you are guaranteed during your visit to our site, we also stick to a full compliance to the European Union requirements with special focus on the General Data Protection Regulation (GDPR). With our compliance to GDPR, we ensure that all our data collection and privacy policies do not contradict any of the current personal data privacy guidelines in the continent, and other parts of the world. As a result of this, we have found a way to inculcate a new easy to use, self service feature that eases the process of navigation by customers through the GDPR requirements. We fully understand the impact GDPR on customers and we are working fully to ensure that all customers information are protected in view with all present European protection policies. 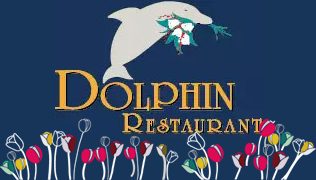 Here at The Dolphin Restaurant, we have a goal to protect all sensitive data, putting all necessary mechanism in place that will ensure maximum safety of all information you provide to us. We value data security, making it fundamental to our operation. We have set policies to ensure that all new and old customers stick to our security reviews. All you need to do is to develop a plan ahead that will help facilitate your review of our data security status and policies. Know Your Data: as part of your responsibility, you should know your data and its capability, so that you’ll fully understand the protection level that’s required for each data to be confidential and safe. All the data that you make available to us are accorded with a serious level of sensitivity, streamlining access to just a few capable hands. Handling of sensitive data require a fore knowledge of all policies that are relevant to the data. We have created reliable procedures that are easily applied in any event where a security breach is detected. Unit controller to data subject. A documentation template that’s not only easy to use, but also customizable and fit to save time and money. Proper mentoring from established GDPR practitioners. When we take customer data, we do so because we want to ensure improved services for the overall satisfaction of all the needs of our customers. Ensure that the processing of information in our database takes a transparent process. Keep all personal data secured in a way that will build customers trust in the long run because of the efficiency of our data protection procedures.